Why should you add this gadget to your kitchen? This garlic press is 100% stainless steel. It won’t even rust. Unlike other garlic presses, this is heavy duty and very sturdy. 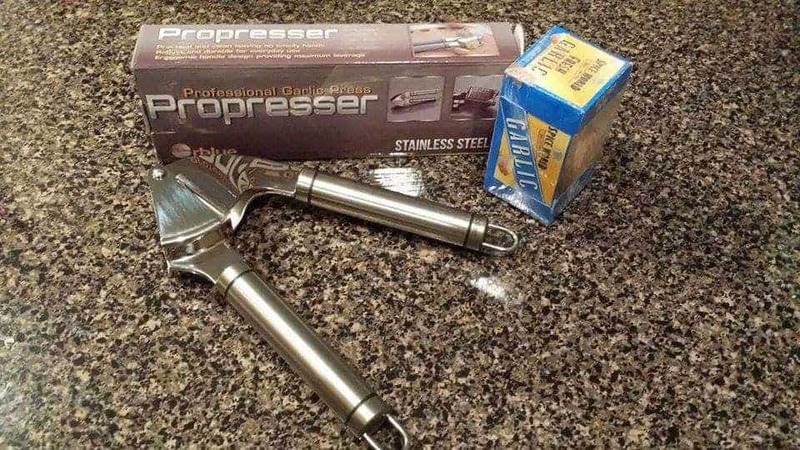 This company guarantees their product and if you ever have any problems, they will refund all your money back plus they will send you another kitchen gadget free of charge. You can’t beat that! 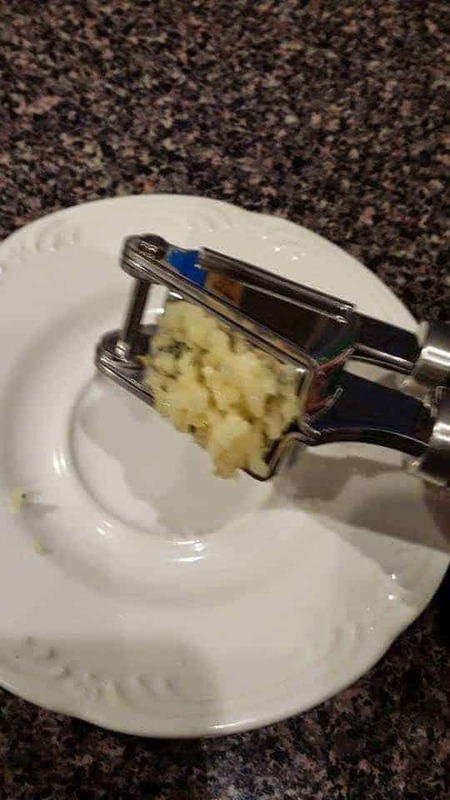 The garlic press is very easy to use. 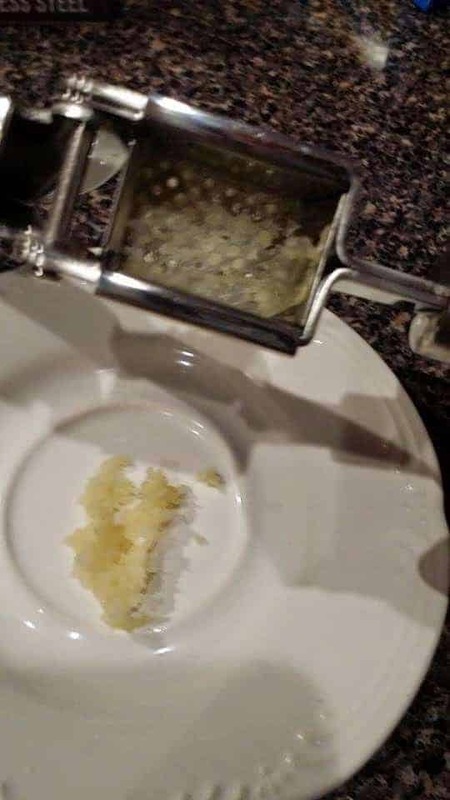 It easily minces garlic with just one press. You can use a decent size clove with the large capacity basket. It’s not a problem leaving the peels on. The peel will be collected in the basket and can be easily removed. 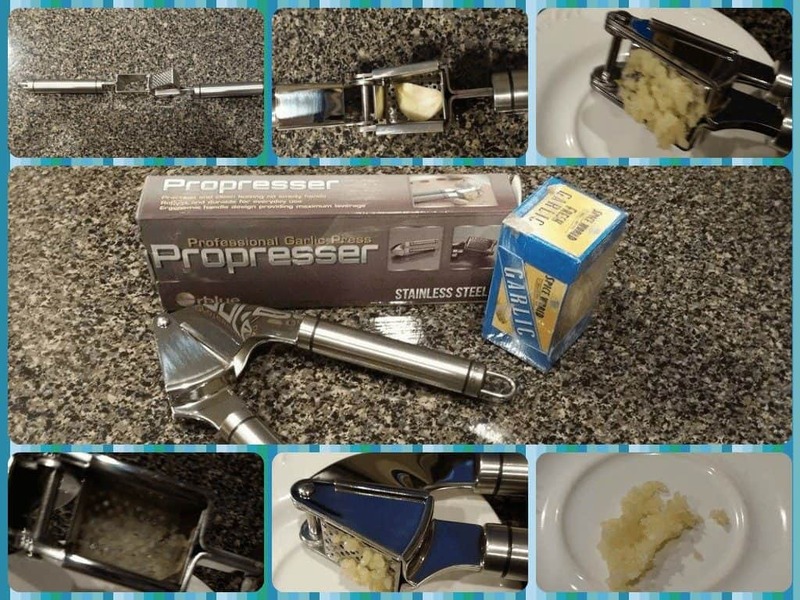 You will not have those garlic smelling hands with this garlic press. I didn’t have any problems with the garlic getting stuck. It was fast and easy minced garlic. Just ran it under hot water for a second and it was clean. 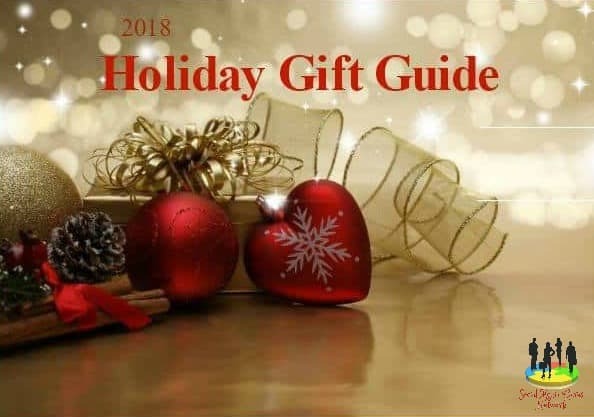 When you order now, you will receive a free eBook “Home Chef” 70-page kitchen management book that reveals how to create your ideal kitchen and great cooking tips.